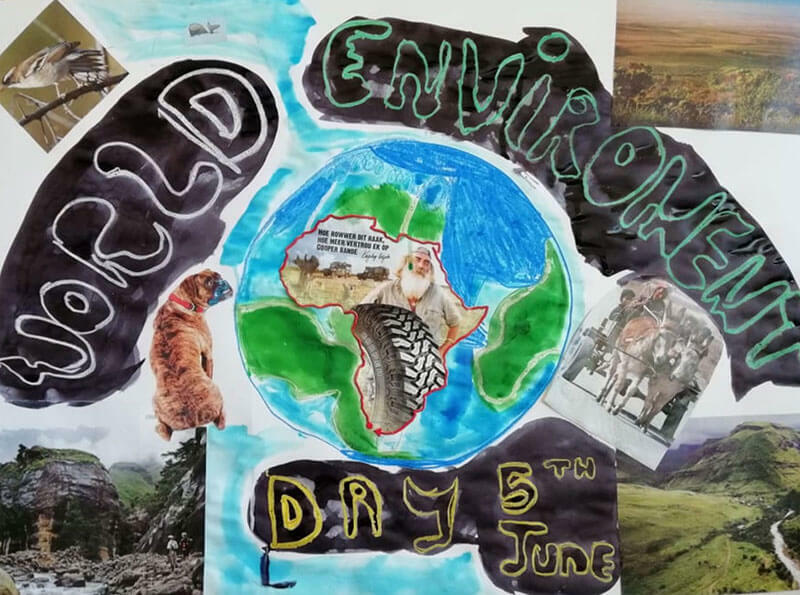 To engage youth in influencing public opinion, perceptions and behaviours towards a healthier planet. 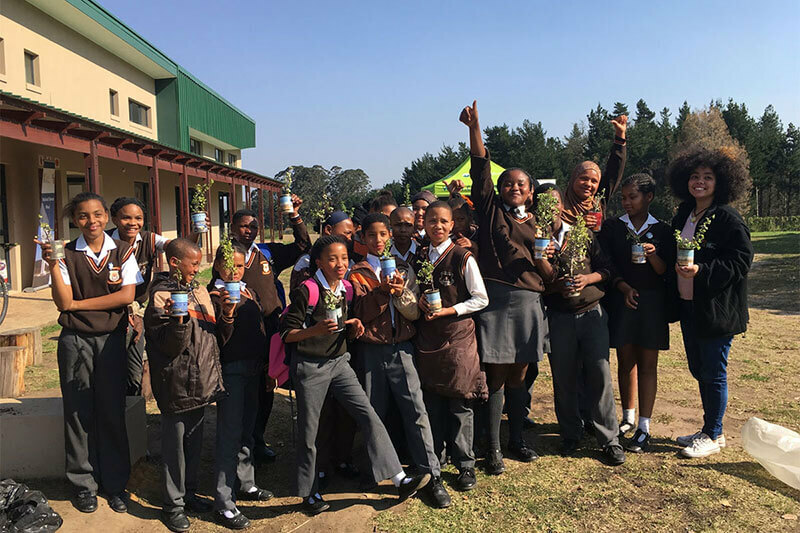 Environmental awareness and conservation clubs are established in primary and secondary schools. 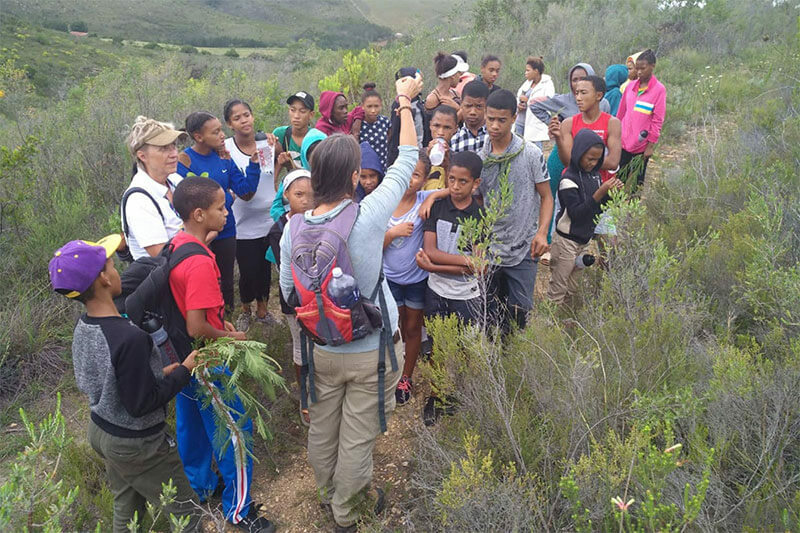 The clubs teach learners how to value and appreciate the natural environment – and themselves as individuals – through various different activities and tasks, ranging from camps, hikes, art classes, food gardens, recycling drives, cleaning and greening their schools and more. 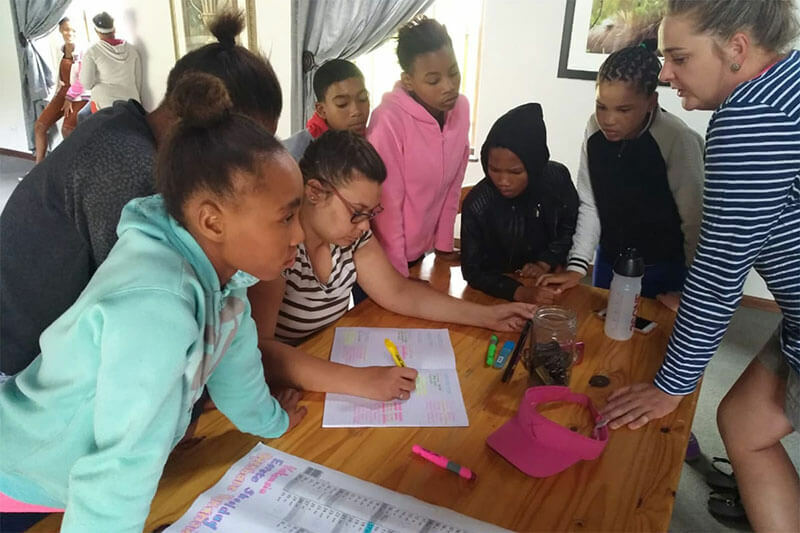 Learners are also encouraged to grow their administrative and leadership skills through the management and administration of the clubs. 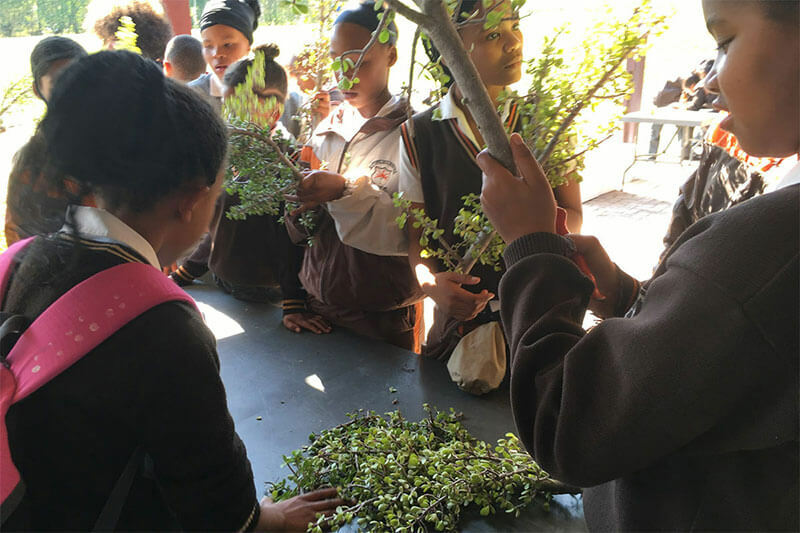 A strong focus is placed on boosting confidence and self-esteem amongst the learners. 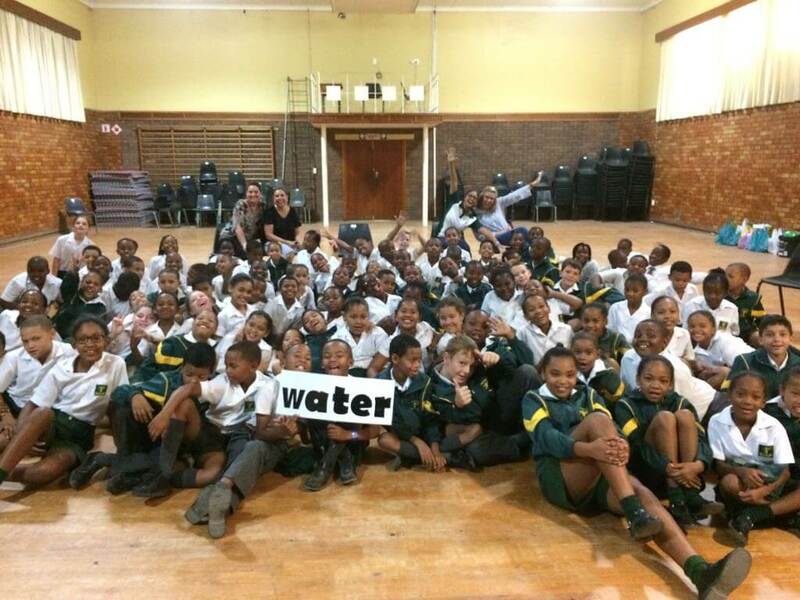 Environmental Clubs established and functioning in Vanwyksdorp, Herbertsdale and Ruiterbos Primary Schools. 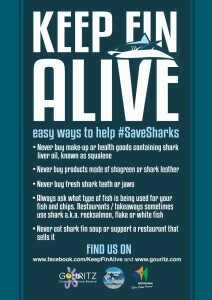 As apex predators, sharks are vitally important to the healthy functioning of marine ecosystems. Alarmingly, many shark species are critically endangered, with many more species’ numbers continuously declining. 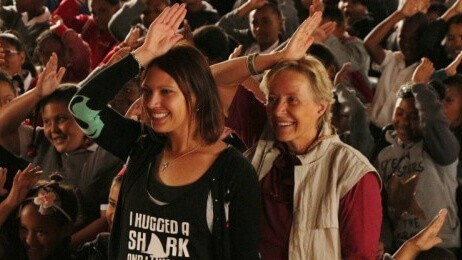 Promoting shark conservation is however very difficult as they are not as charismatic as other endangered species. Key to their conservation therefore is in changing perceptions. 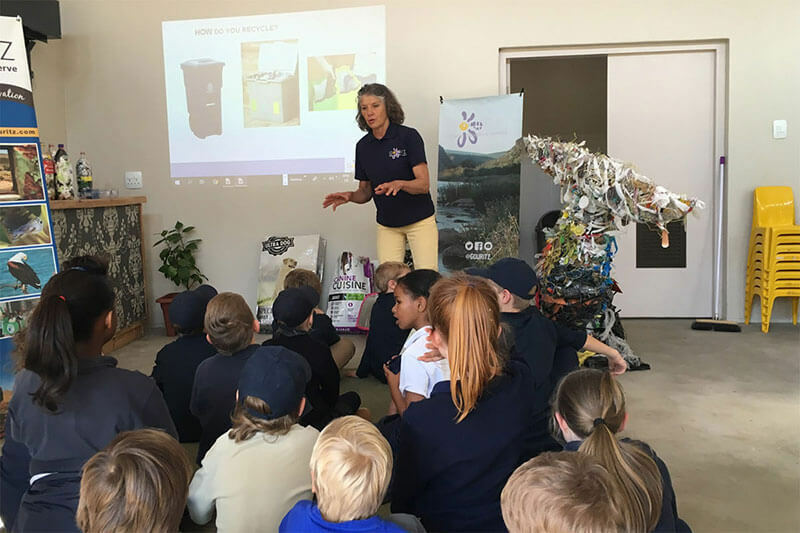 The “Keep Fin Alive” campaign promoted the importance of conserving sharks and marine environments, through various educational platforms, including puppet shows. 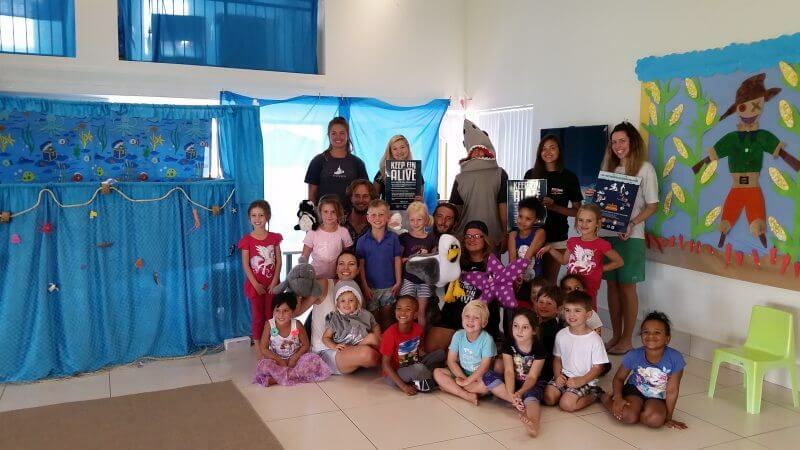 The star of the puppet show was “Fin”, a soft (toy) shark on a mission to change the negative perception that people have about sharks, and how this perception is contributing to their alarming decline in numbers. 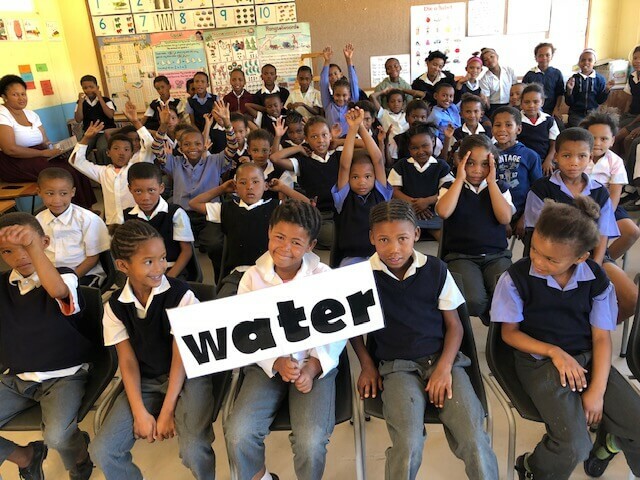 Through the puppet shows the children were taught that sharks are not the monsters that society and the media portray them to be, but that they are intelligent and special animals that have a very important role to play in ocean ecosystems. 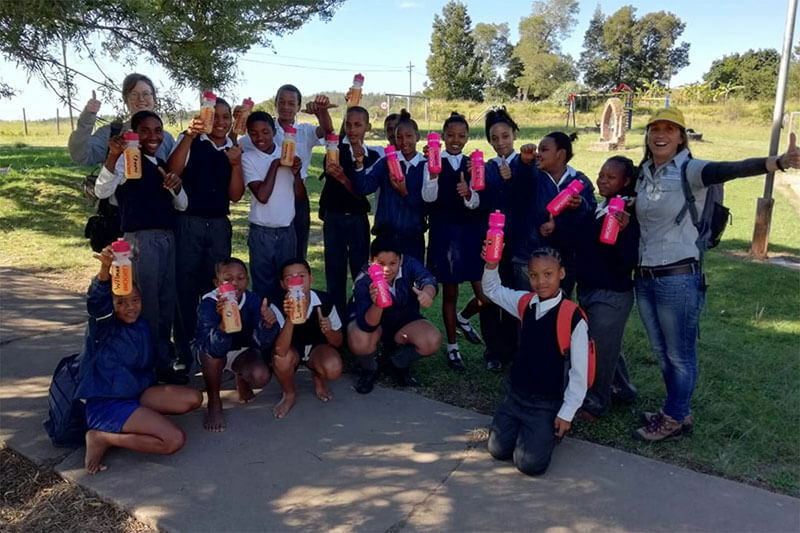 This project developed skills and empowered women’s groups in the Klein Karoo to make Wonderbags* and, through a series of interactive workshops, capacitated community groups to understand climate change and the mitigation impact of the use of Wonderbags. *Wonderbags – eco-friendly slow cooker that uses heat-retention to cook food. 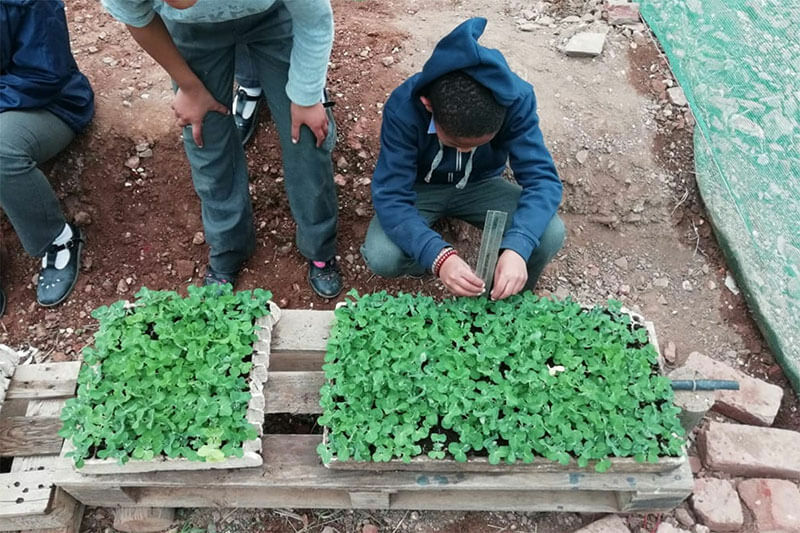 This saves money, cooking fuel and carbon emissions, and enables women to use their time for things other than collecting fuel and keeping an eye on pots. 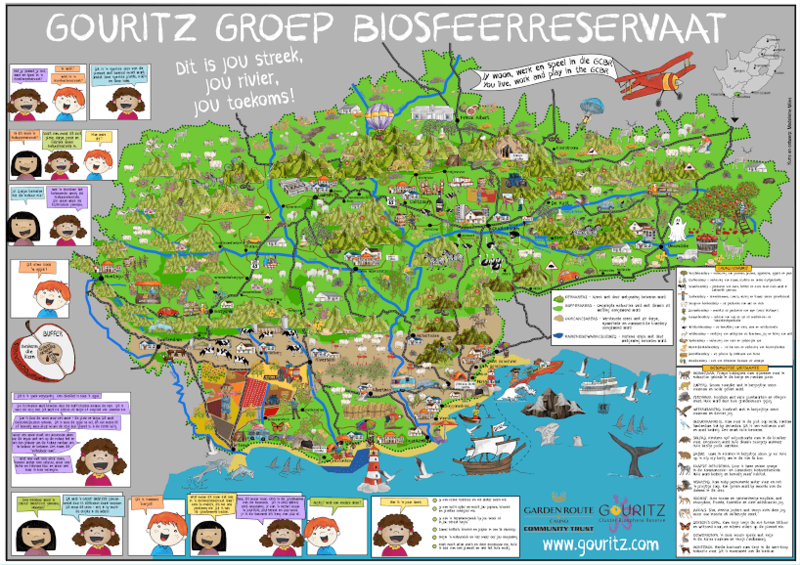 Design of a creative interactive poster about the GCBR for learners and teachers. 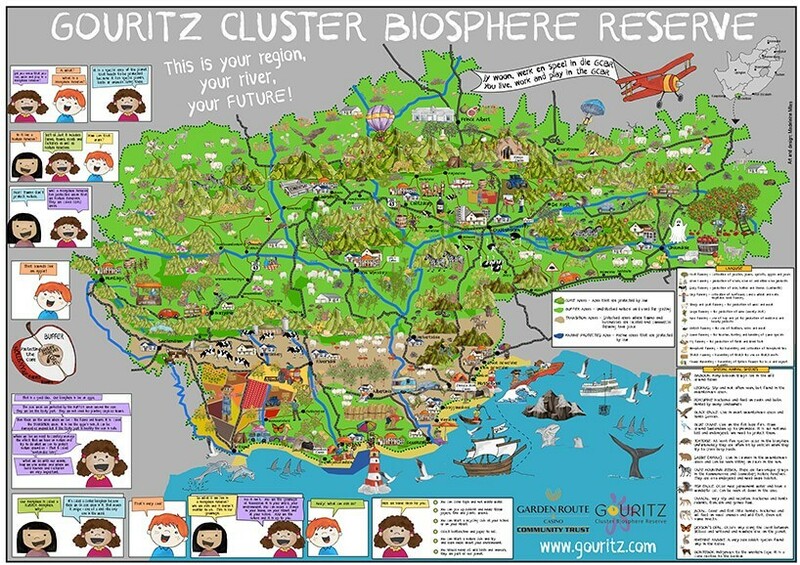 The poster is accompanied by a booklet to guide teachers, and a workshop offered to teachers to learn about the use of the material in the classroom. 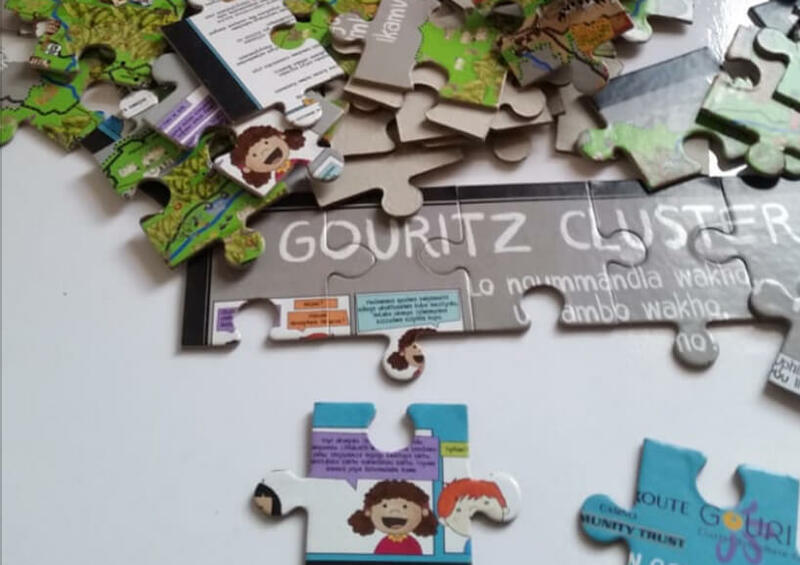 A jigsaw puzzle of the same design is available for the youngest learners. 82 posters, 44 puzzles and 35 booklets produced. 15 schools reached. 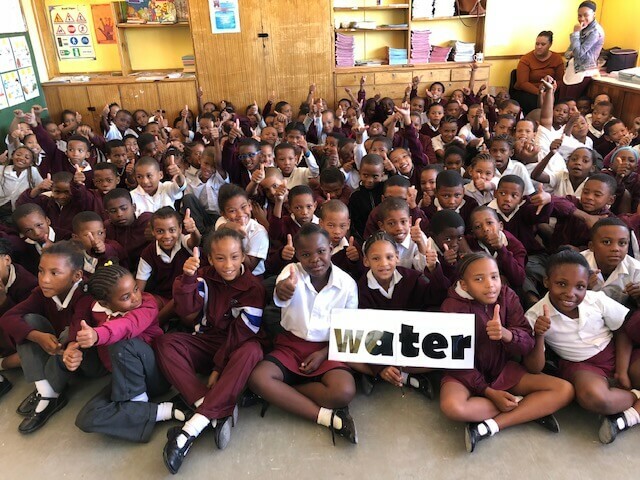 This project continued on from the initial momentum of the “Keep Fin Alive” campaign to promote shark conservation. 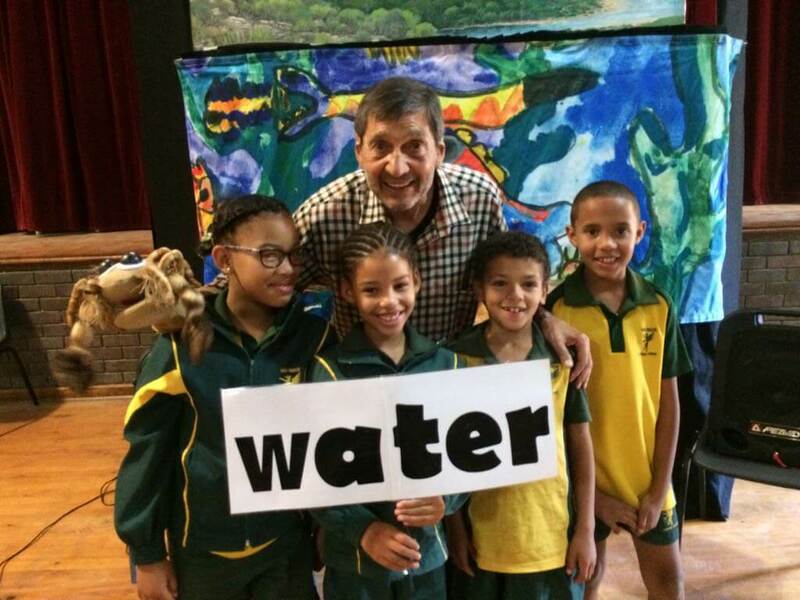 It ensured that Afrikaans schools in the Mossel Bay area got to learn about conserving sharks and marine environments through the Veldkerjakkers Poppekas’s own puppet show performance of “Vin die Hartseer Haai” (Fin the Heart Broken Shark). 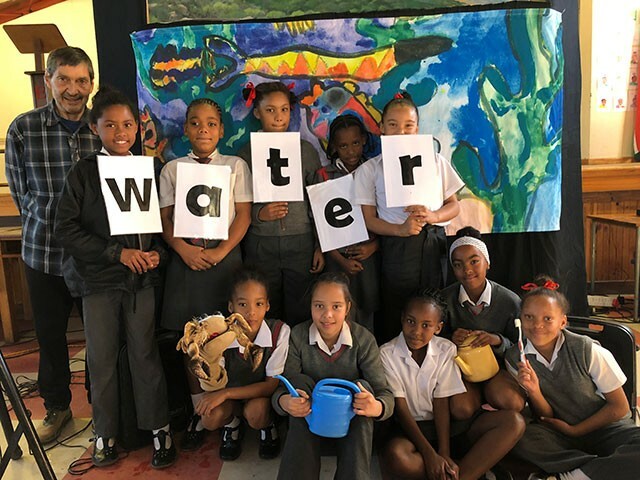 A puppet show called “Druppels” (“Droplets”) was rolled out during 2018, with the focal message on water security and the value of water.